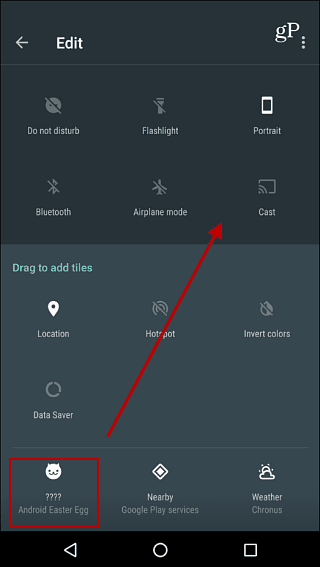 We have shown you the “Flappy Bird” Easter egg available in Android 5.0 Lollipop and 6.0 Marshmallow, and now we have a new one for Android 7.0 Nougat. 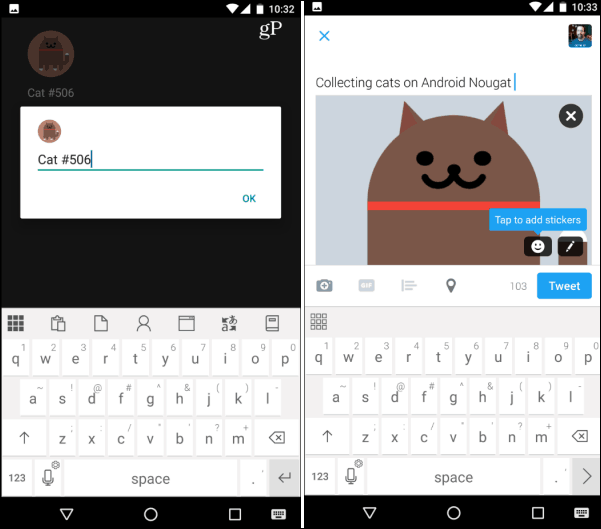 If you’re an Android user and your device is running Android 7.0 Nougat, you might be interested in unlocking the hidden cat collecting Easter egg game. 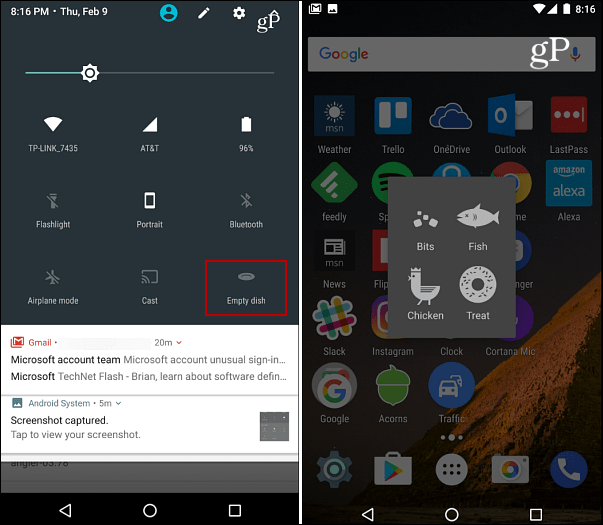 Android users should be familiar with Easter egg games like the hidden Flappy Bird clone that you can find in Android 6.0 Marshmallow. There is another version of that game waiting to be unlocked in Android Lollipop 5.0 as well. 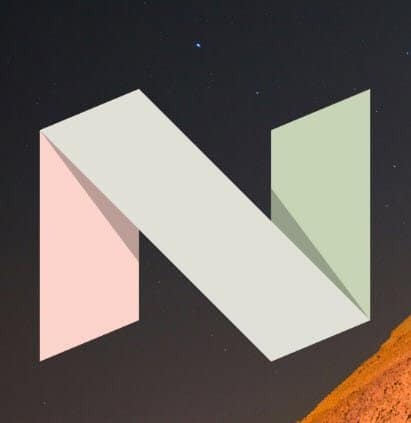 With the newest version of Android 7.0 Nougat comes with a new Easter egg called “Android Neko”. It’s not a game in the traditional sense like the Flappy Bird clone like the two previous versions of Android mentioned above. There is no game screen or controls, but it’s fun to play around with. You collect virtual cats by putting out food and waiting for them to show up. 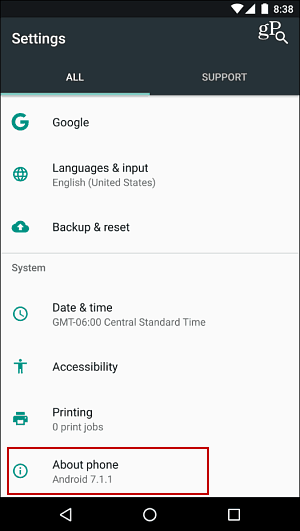 For this example, I am using a Nexus 6P running Android Nougat 7.1.1. 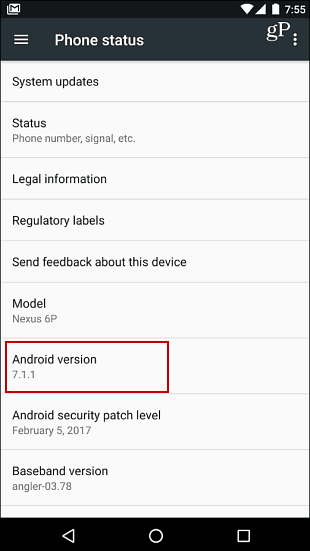 While a few steps may vary depending on the device, it should work with other phones running Android 7.0. Here’s a look. Open Settings on your phone and scroll down to About phone and tap it. Tap on Android Version quickly three to four times until a big ‘N’ displays on your screen. Tap the N quickly four to five times, then press and hold it until your phone vibrates and you see a small cat emoji appear under the N and then fade away. Swipe with two fingers from the top of the screen down to display the Quick Settings menu and tap the Edit icon. You should now see a new cat face icon under the Drag to add tiles section that’s labeled “???? 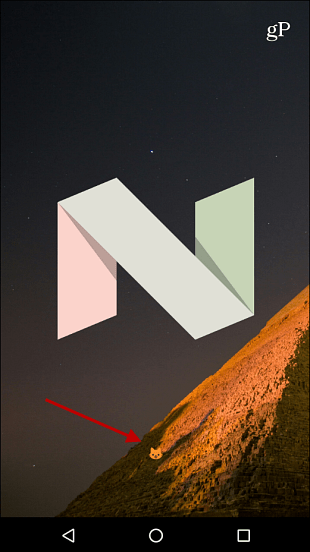 Android Easter Egg”. 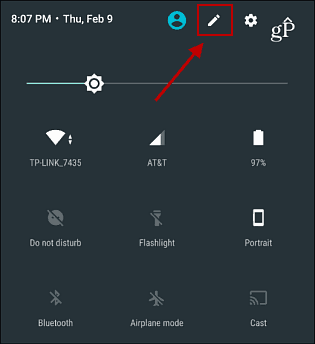 Drag and drop it to the top to add it to the Quick Settings menu. Tap the back button and you should see a new dish icon labeled “Empty dish” – tap on it. then you’ll get four options: Bits, Fish, Chicken, or treat. Choose whichever one you want to put out to attract the virtual cats. Now just wait for several minutes (in my case it was hours) and eventually, when a cat comes around you’ll get a notification letting you know a cat has arrived. 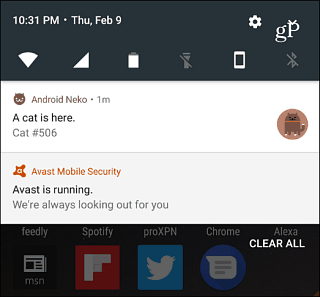 Open the notification to display the “Cats” menu which displays all of the cats you’ve collected over time by putting out food. You can tap any of the collected virtual cats and give them a custom name. You can also long-press any of the cats and either delete or share it via Twitter, Email, and other services. As I mentioned earlier, it’s not an action type game where you avoid obstacles or shoot and blow up things, but it’s an interesting new Easter egg for Android. I’ve been told it’s sort of like Pokémon. I have never played Pokémon so I wouldn’t know. I have only had a couple of cats show up so far, but I assume as time rolls by, you’ll be able to collect them all. Give it a try and let us know what you think about this new Android Easter egg by leaving a comment below. 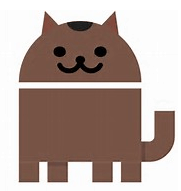 Do you need internet connection to collect cats in Android 7.1.1? No. You don’t need an internet connection to do the cat thing. Well thank you. That was the only tutorial on the net, that worked for me! I have 61 cats. The more often you put food on the plate, the more cats show up. And I just figured out how to get the page with all the cats to show up, long press the food dish. I’m running out of names. 61 Cats! Wow… And they all have names! That’s pretty amazing.